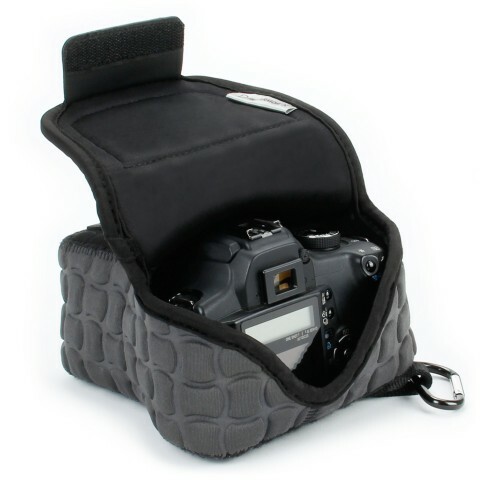 This new camera case features reinforced 6MM neoprene to provide greater protection for your camera. That is 50% thicker than most cases! 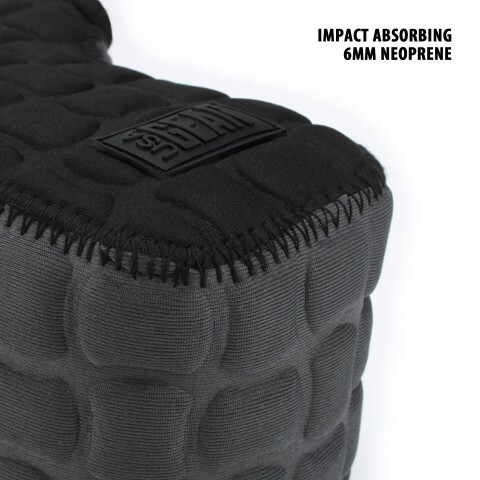 The molded dense neoprene material is manufactured to absorb shock and protect from bumps and scratches. 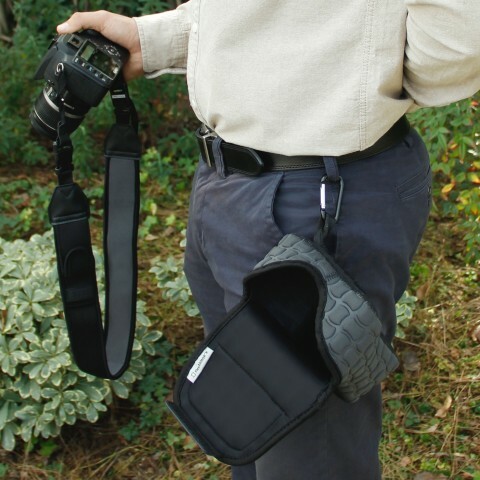 Be comfortable shooting in the mountains, while hiking or even maneuvering amongst a rowdy crowd at a concert! 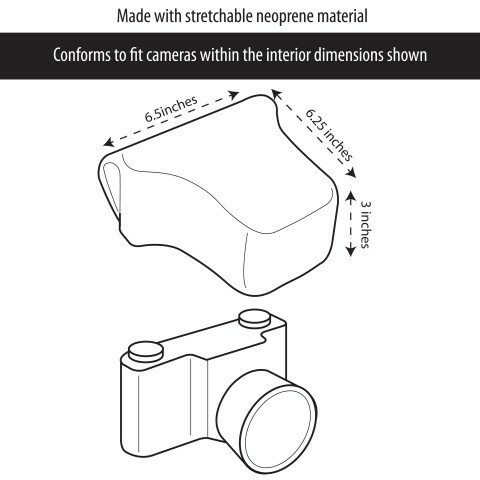 The conforming design of the case stretches over your camera's body and lens. 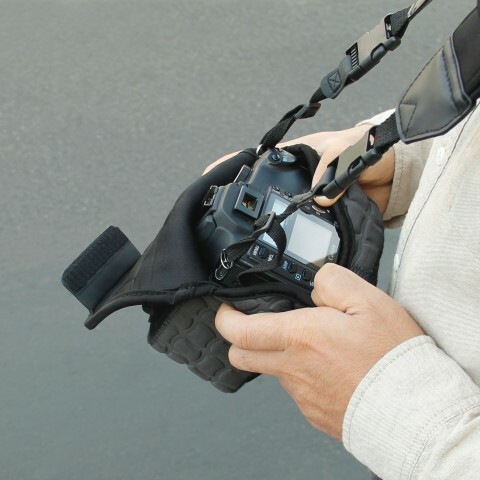 The heavy-duty velcro closure keeps your camera secured for a tight connection and allows instant access to your device. 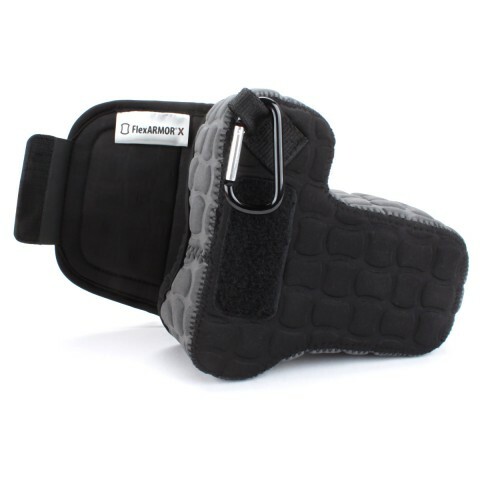 Use this FlexARMOR X case when you don't want to carry a hefty camera bag and need just the basic accessories. 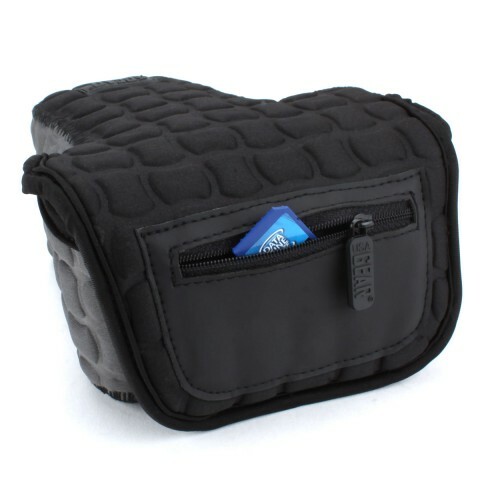 A zippered accessory pocket is included to store a battery or memory card. 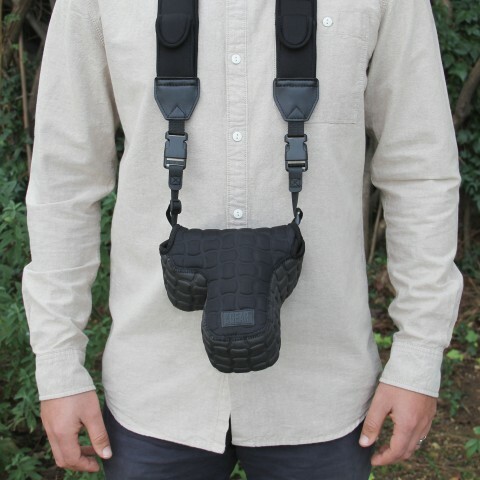 Attach the carabiner to your belt loop while shooting. 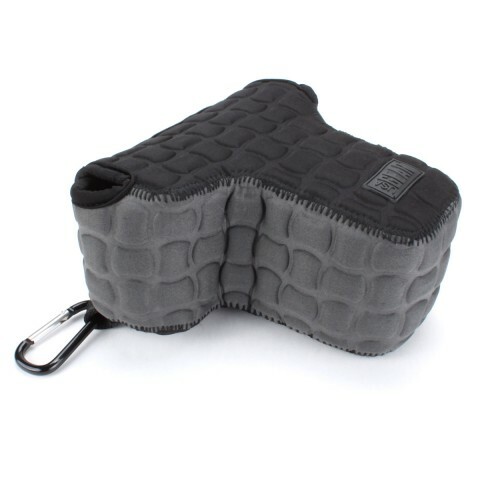 If you are traveling lightly, simply throw this case in your suitcase. Interior Dimensions: 6.5 x 6.25 x 3 inches.